This project concentrates on two imperial border regions. First, I consider the Canada-United States border around the „northern plains“, more precisely the territories of Dakota and Montana respectively Sasketchewan. Second, I study the Orange River border that separated the British Cape colony and German Southwest protectorate, as well as the southern part of the border between the German colony and British-Bechuanaland. These two border regions, which themselves manifest transnational structures, will be the subject of a comparison in order to deduce, as much as possible, general patterns of arms trade in imperial border regions. The thesis will cover the periods from approximately 1868 to 1881 for Northern America and from 1884 to 1894 for Southern Africa. The choice of the time frame is determined by political change. During these periods, both borderlands turned from disputed territory with a strong indigenous presence into “bordered lands”, where the rule of the imperial power was still challenged by indigenous people, but out of a different context. The comparison of two transnational phenomena in a limited time frame, as well as a strong focus on the periphery, its actors and the cross-border nature of arms trade, defines a new approach that will enlarge the existing research on imperial arms trade. The current research focuses mainly on the diplomatic side of arms trade in Eastern Africa. The project will also add to the existing wide-ranging research on borderlands, which has only scarcely (and for the case of Southern Africa, not at all) considered the regions I focus on in the 19th century. Two intertwined themes will be central to the analysis. The first main topic of the thesis is security and state building. More precisely, I study the significance of arms trade for the implementation of imperial rule in border regions. The widespread arms trade destabilized the regions because it intensified conflicts, but simultaneously it was also used on a diplomatically level to gain and maintain indigenous allies. Arms trade also played a role in the relationship of the imperial powers: its control could be part of the cooperation or rivalry of the western actors. The official rhetoric often depicted the imperial rival as backing the cross-border arms trade. These frictions could also be seen within the imperial powers themselves, where metropolitan and peripheral actors disagreed on the stance on arms trade. Arms trade regulation and restrictions on indigenous gun possession were tough, but seldom effective. International agreements such as the Brussels Act of 1890, national tariffs, licenses or even complete bans largely failed due to the lack of constant and widespread surveillance, high indigenous demand and extremely high profit margins. However, in the rare event that traders were caught, they were sentenced heavily. Within this situation, the balance between financial and political benefit and the threats to state security was a constant point of discussion, just as the linked subject of (indigenous) disarmament. This equation was also influenced by indigenous border populations, mainly the so-called “non-treaty Indians” respectively the Nama-Oorlam commandos under Hendrik Witbooi. These were the main recipients of the cross-border arms trade, and even tried themselves to control it. The second main topic of the dissertation is situated more in the realm of social and cultural history and focuses on the interaction between state-backed traders or smugglers and the recipients of weapons and ammunition, the male indigenous population at the border. Similar to the first topic, the main focus is put on the effect that arms trade had on cross-cultural relationships in the periphery. 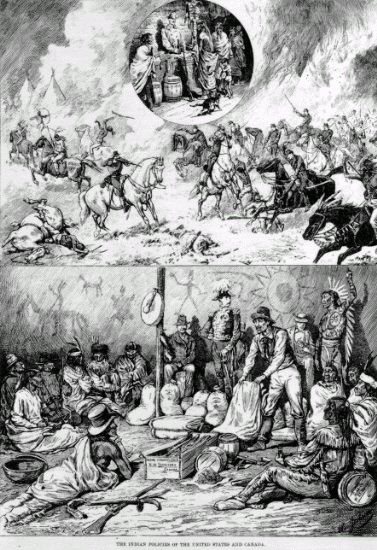 The trade generated a dependency especially on ammunition, but also encouraged economic and cultural interaction, which transformed the border societies. The arms traders themselves can even be seen as a type of cultural broker. For conducting their business successfully, traders had to have a deep knowledge of indigenous as well as European rules and customs. Trust was also a fundamental element in the relationship between trader and consumer, which had been made explicit in different sources, for example by the mutually used label “friend”. Consequently the traders were depicted by the state and parts of the press as traitors and agitators. In the context of these cultural and social questions, weapons themselves, as symbol of masculinity and power, played also an important role. To sum up, I want to study the effects of cross-border arms trade on the imperial state. Was this trade a threat to imperialism, or did it help to consolidate it? Did arms trade weaken or strengthen indigenous actors or rival imperial powers? Which role did it play within the transcultural interaction between state and indigenous people in the periphery? Heavily based on archival research, especially documents of the imperial administration, police, and military, but also on sources from indigenous chiefs, press, settlers, missionaries and the traders themselves, the thesis will try to present the role and motivation of the different actors. The main focus in this actor-centric approach is put on the arms traders. These were themselves a diverse group, operating alone or in syndicates. For most of them, guns and ammunition were just one of the goods that they were selling. They were mostly of European or American origin but some were mixed-race people such as the Griqua in Southern Africa and the Métis in Northern America. They operated in a legal grey area and often had ties to the local administration. The main objective of the project is to identify generic patterns of how arms trade in imperial borderlands worked on a political and on a social-cultural level. The thesis will not try to analyse the entire arms trade in all four states/colonies. It will concentrate on the regions and on the time frame defined above and focus on cross-border, transcultural arms trade. The dissertation is supervised by Professor Benedikt Stuchtey of the University of Marburg.